Lord Oliver's (Michael Sheen) Practice Sword cover from the 2003 time travelling action adventure Timeline. The arrogant Englishman can be seen fighting an opponent when the young team of archaeological students are captured in the 14th Century whilst searching for their lost Professor (Billy Connolly). The piece is made from leather sewn into a flat tube that sat snugly over a metal sword and is decorated in red and yellow spiralling lines with a braided tassel at the tip. 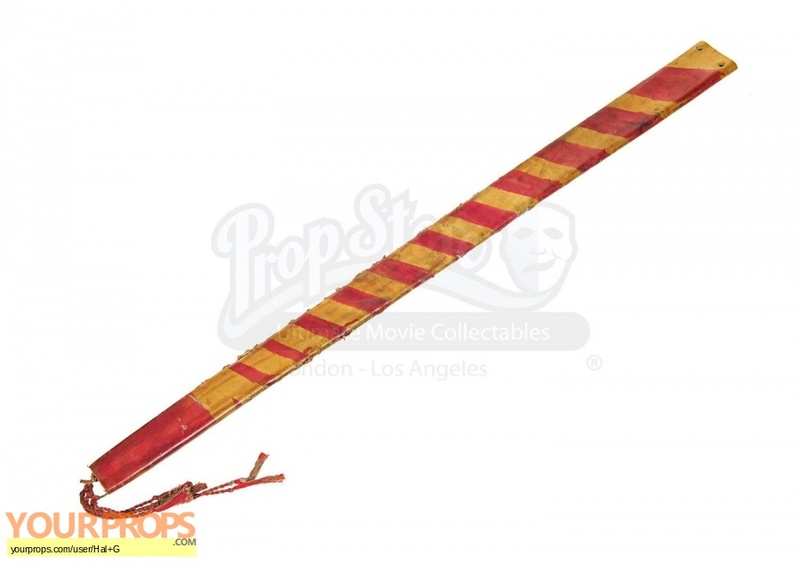 Both edges display heavy wear from use on set as part of the sword fighting action with knocks and small splits. 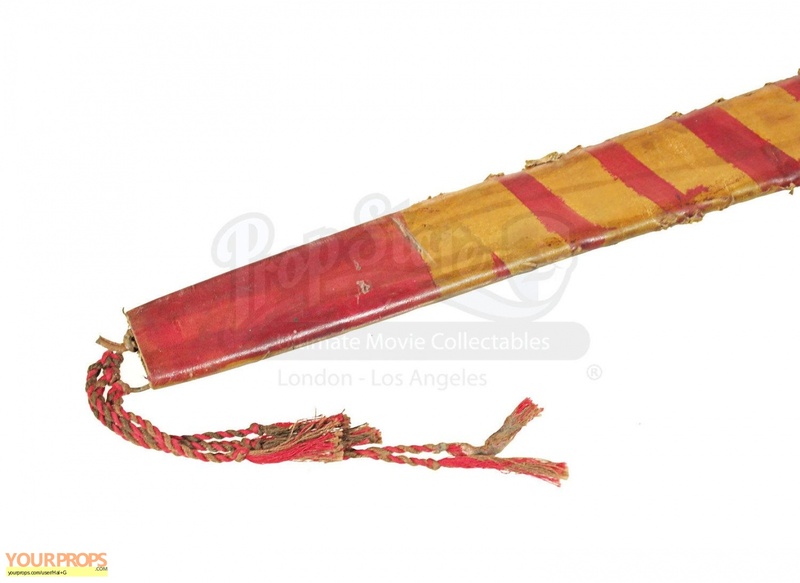 It measures approximately 80cm long and is in great production used condition with a great sense of action. view all 54 items of "Hal G"
** The content of this listing is the sole responsibility of Hal G. Yourprops.com, its owners, agents and assigns assume no liability.